Summer is Coming!! 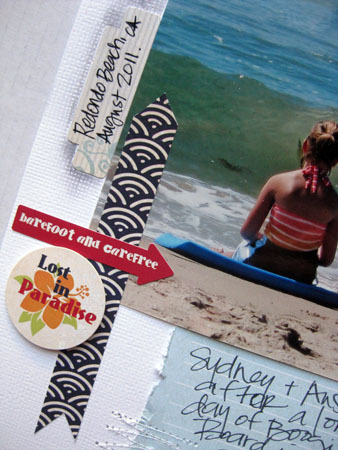 Check out Fancy Pants NEW "Down By The Shore"
It's Wendi here sharing with you a summery layout. 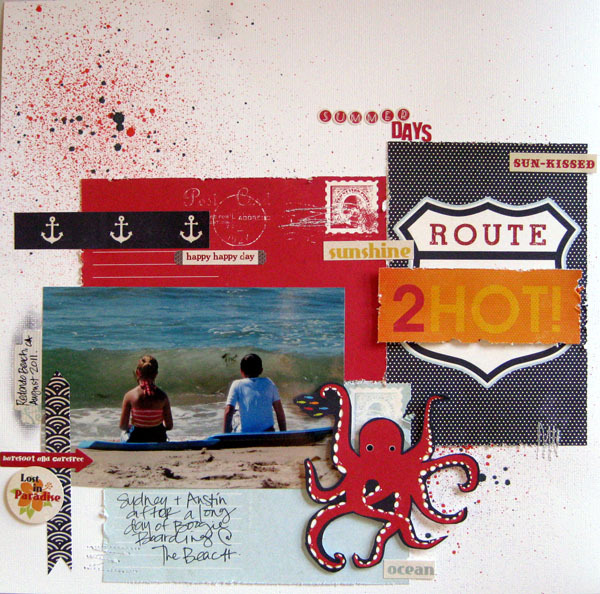 I was super excited to get to play with one of Fancy Pant's latest lines... Down By The Shore. This line totally screams my name. I'm a summer chick, a beach lover, and water kind of gal. The fun patterns in this line are super playful. For my layout, I used Brad Pad, which is a 6x6 mini album that you could almost use by itself to add pictures and journaling. I decided to tear out some of the pages and used them as papers on my page. I also used the sticker fundamentals for my alphas on the title work. I used a couple of the tape strips and the label stickers through out my page. And how fun is this lil guy??? I fussy cut him out of one of the pages. This line is perfect for all those summer photos you'll be taking soon enough. Other supplies used: Mister Huey mists, machine sewing, pop dots, and Sharpie pen. 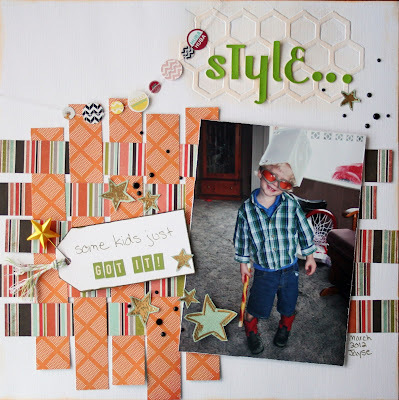 Ange here today with Fancy Pants adorable Trendsetter line. 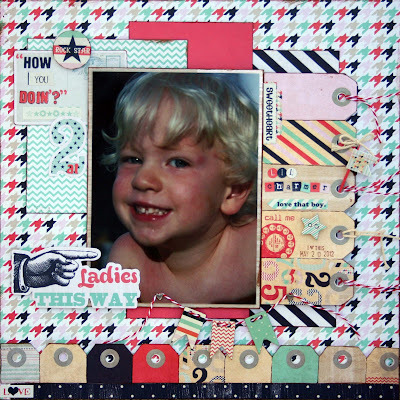 Of course I had to find the perfect photo to go along with such a fun line & this 'Ladies This Way' die-cut was a big help in directing the course of this layout. This is my youngest being his charming little self last summer, while practicing his wink. We went out to see the solar eclipse and it created the most awesome soft light, so of course I brought out the camera. Other than enlarging this to a 5x7 I didn't do any editing to this photo. But I did a lot to this tag pp! 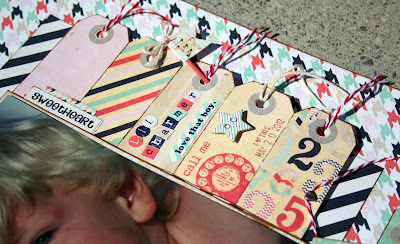 I loved the look of it and thought it would be so cool to use strips of tags on my lo. So the first strip I cut off the bottom of the paper. That strip was only part of the tags so I used it along the bottom of my lo, right above a Tape Sticker strip. The second strip I used along the edge of my photo. For both strips I cut the triangles out between each tag and then bent them along their edges to ink them, giving them individual dimension, w/o having to cut them all apart. With these ones I punched out the holes and added red twine and string from the tags of a recent clothing purchase. 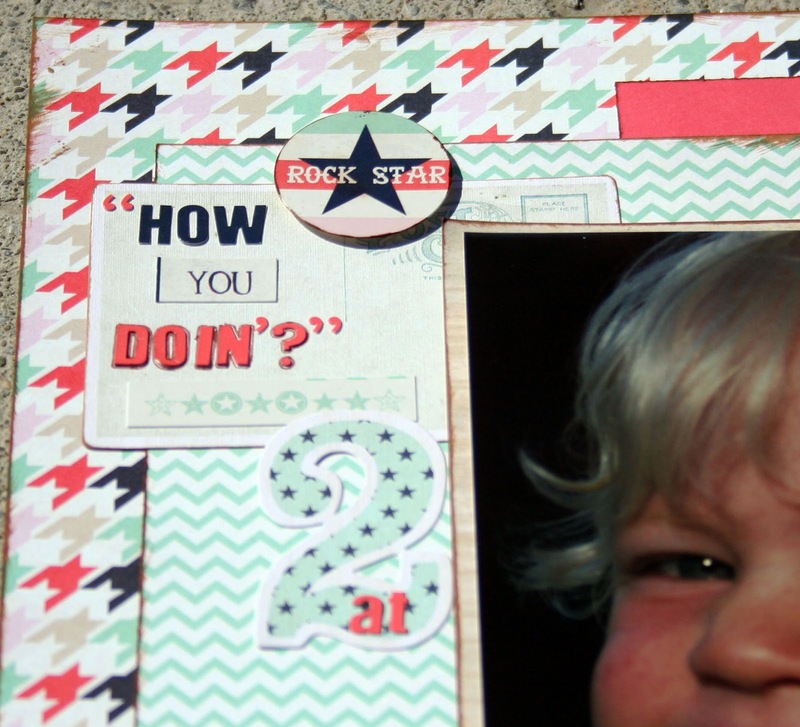 I used a pop dot for the Rock Star sticker added the star strip below and then added the 2 as an afterthought. I often overlook using larger #'s because I tend to add dates small and under my journaling, so I thought this would be a fun way to add in the cute starred 2. The final touches were mostly from the button set. I used the star and the banners, along with some twine and then made my own flag with a toothpick from my cupboard and some more of the fun stickers. This is a super cute line! I hope you enjoyed what I did with it. Care With Cards - Card Kits!! THANKS!! So much for all the cards/kits/blankets and journals that were collected at the show!! I have been organizing for a little while now and it is taking longer than I expected. I just have to look at every one !! 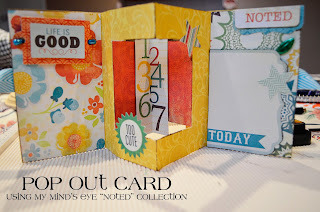 I have a rundown of our total collection coming later this week but today I just want to share the beautiful card kits. We collected 573 kits! I am super excited to donate these kits later this week to the Juvenile Justice System of Utah! What a great activity for the youth to do, plus once they are done with the activity they will have a DARLING card but more importantly they will have a card that they can use to write some thoughts and sentiments to somebody they love. These incarcarated youth are facing many challenges and so are their families and friends. I hope that some shared positive expressions can be passed on through these cards. I took photos of most of the kits but about an hour into it I had to stop (lol). The secret to card kits is to do a mass production. 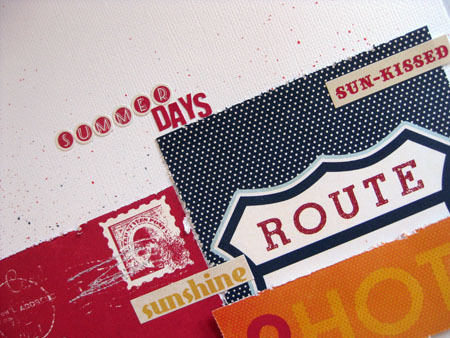 Once you have the layout it is easy to mass produce a large quantity. Most of the kits came with anywhere from 10-40 duplicates which is no problem since these will be divided between a number of different facilities. The black and white is the front with a copy of a photo of what the finished product should look like. The second bag is that back side of the baggie with all blank card, envelope and all the pieces. Isn't it cute?? Honestly, every one of these kits is unbelievably cute. I am just really excited for this project! One thing I noticed with a few of the kits was that the design was the same on a few of them but the papers on the inside were a little different. This is a great project for using up leftover pieces. 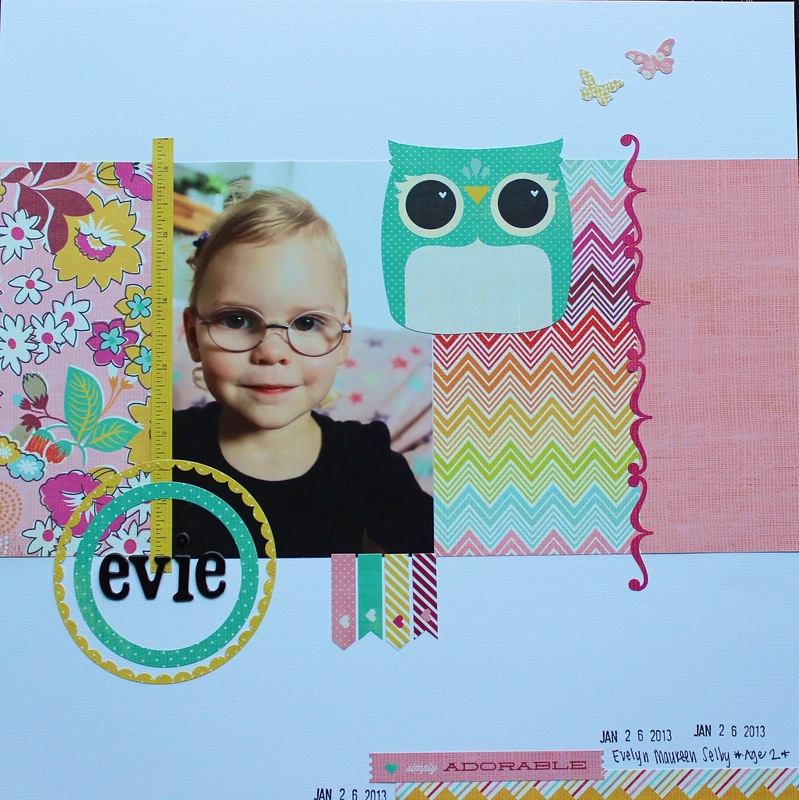 It is easy to come up with a design you like then utilize all the scraps around your craft room and put together 10-12 of these kits. THANKS again for donating card kits!! It is just so incredible. I will be delivering them this week and in the next couple of months I look forward to getting feedback and seeing how fast they are used up. We hit over 500 this time and I would like to be over 1000 at our March 28-29, 2014 show! I am looking for more organizations who can utilize our card kits and cards. If anyone knows of any group or organization please let me know! CUTE Card with Fold-Out Component! 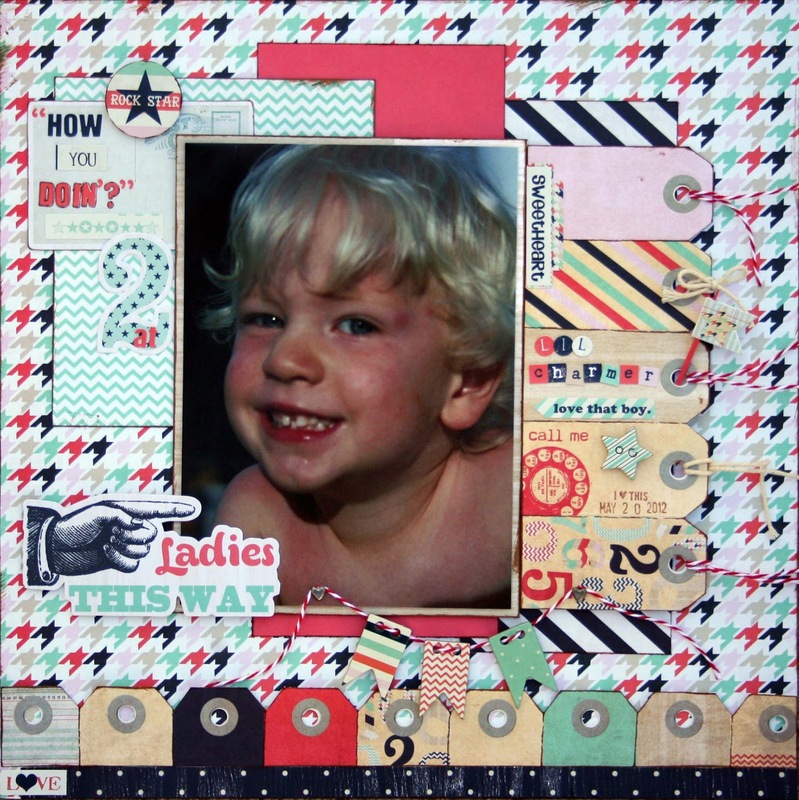 Andrea here and by now you've read Kristin's excellent posts about ScrapCodes! 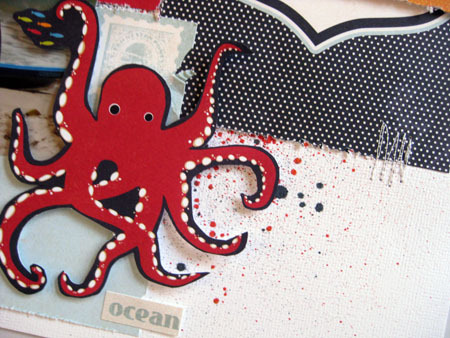 These crazy little scan-able stickers allow you to combine technology and art. 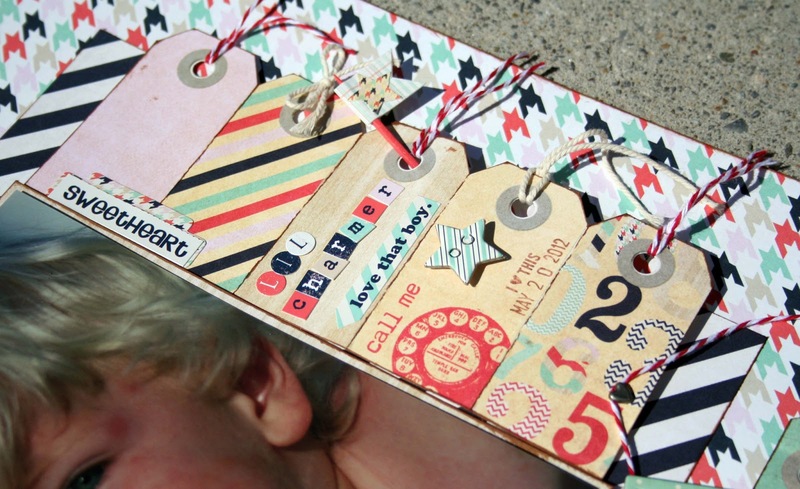 Include one of these ScrapCodes on your journal pages, layouts, cards or tags to share pictures, videos, etc., with friends and family. I decided to try one of these ScrapCodes out myself. But as Kristin said in one of her posts, what do you do if you don't think the "look" of a ScrapCode fits into your design? Simple! Put it in a pocket or make it a fold-out component! When someone pulls out the tag, they'll have the ScrapCode surprise! If you want to incorporate something high tech into your crafting, then check out the ScrapCodes website. They have a demo video of what these code stickers can do and they give you step-by-step instructions on how you can try them for yourself. They are a great option for those of us who want to take the next daring step in technology! Hi all! 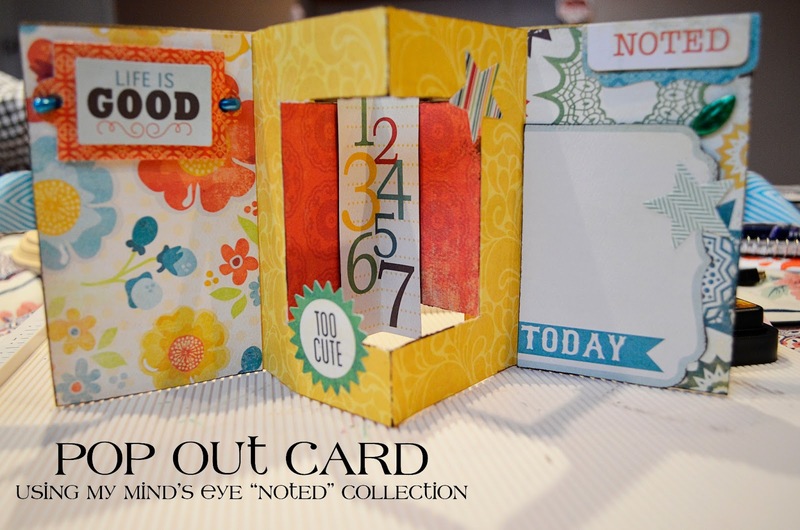 It's Jen here and I recently had the chance to make some cards with My Mind's Eye "Noted" Collection. I really wanted to try something different and thought this type of card would be a fun change. To start, score a 12x5" piece of paper every 3", creating four sections. Next, score a rectangle one inch from the edges in the middle two sections. The rectangle should be 4x3". Then, carefully cut a slit on the top and bottom score lines. Score the "pop-out window" the opposite direction of the middle score line. 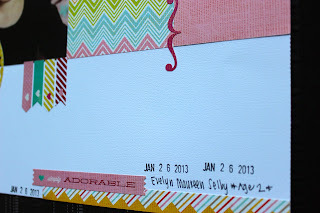 Add a different paper to the middle and on either side to add more interest. Ink edges if you like that look. 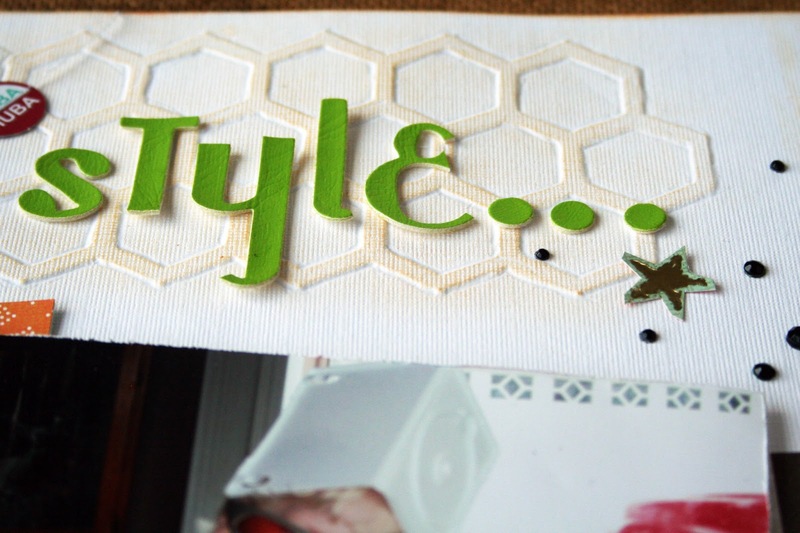 Add a length of ribbon to tie around the card. You can either glue it down or leave it loose-it depends on whether or not you want to layer embellishments on top like I did. 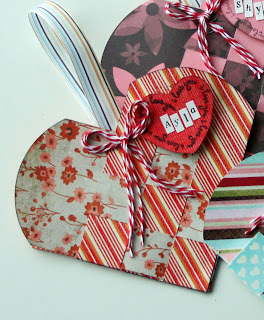 Be sure to not pull the ribbon too tight because you want the card to be able to open and expose the window correctly. 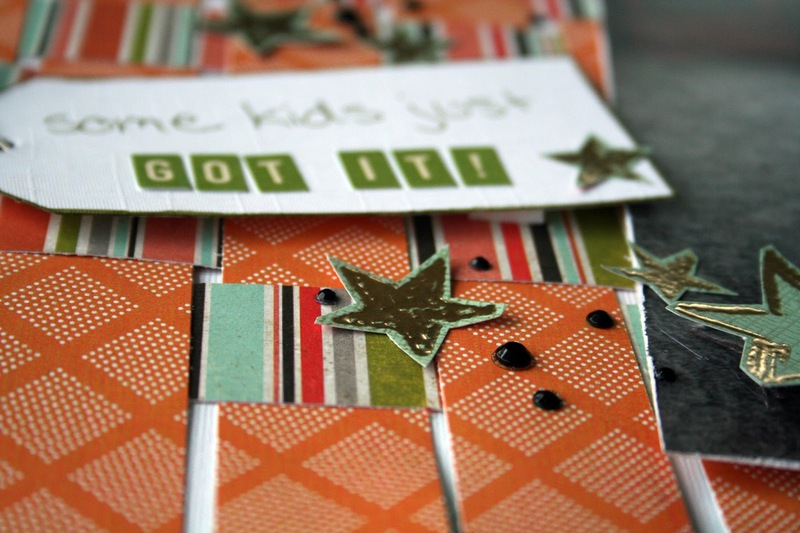 And here's the finished card, minus the pictures and journaling. I love the idea of this card. 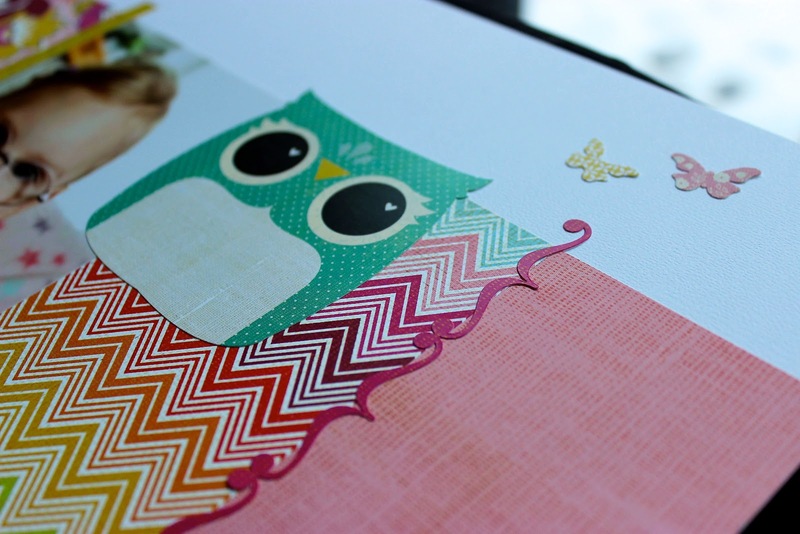 It functions as a card and, if the recipient wants, it can be used as a little accordion type album to display. I'm sending this to my Grandma. You could try adding flowers and other embellishments to the window that would pop out in different places-I would have done that too but I wanted a more masculine card to feature my boys. Knee Highs and Bowties by BasicGrey - Loving it! 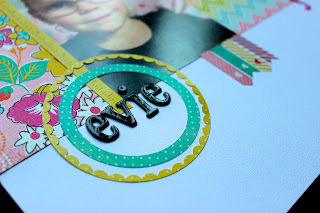 I added some letter stickers in the center of these scalloped circle stickers. There were several in different sizes so it was very easy to layer together. I am in love with this owl. As soon as I saw it, I knew I had to incorporate it somehow. Also those little butterflies... SO cute! Whether your hosting a party or giving a little gift, these party containers are SO cute and super easy to put together! I made this treat container above as a "Thank You" candy holder. I love it because it doesn't take much paper and there are so many things you can do with it. 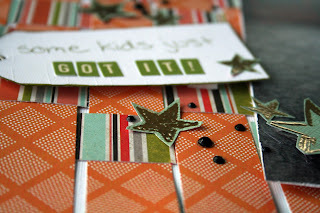 Thanks to Tammy Smith from A-Muse stamps for the darling stamps and paper that I used. If you are in the market for some new stamps check out Tammy's site where she has ton's of cute stamp ideas and where you can learn more about A-Muse product. You can see the complete tutorial as well as another treat container I made on today's segment of My Craft Channel. This one is definitely a keeper am thinking of so many ways to use this container. I hope you enjoy it too!! Give-aways! Updates! Tips and Tricks!